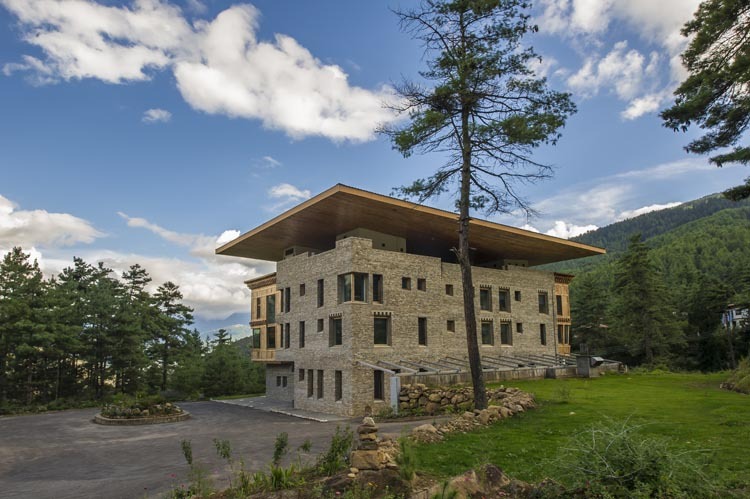 Retreat from the hustle and bustle of Thimphu city to Zhiwa Ling Ascent – Bhutan’s first contemporary concept hotel. 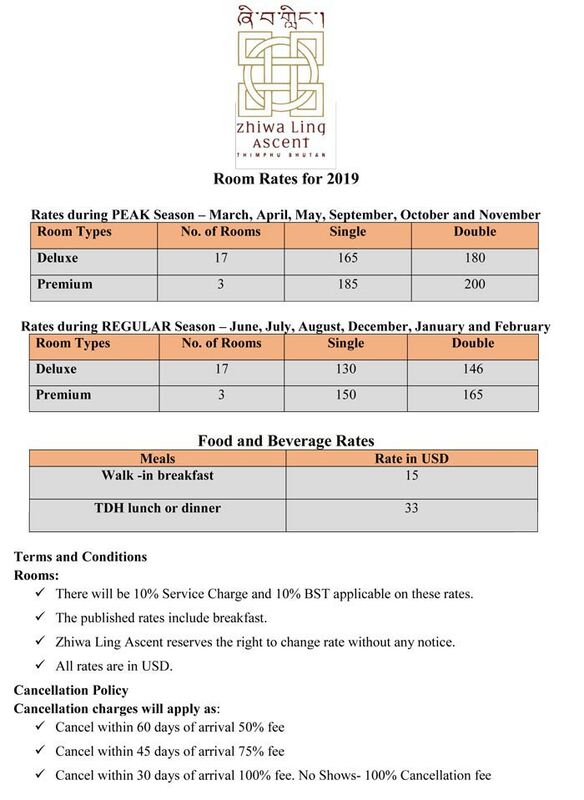 Located just outside the centre of the city, Zhiwa Ling Ascent welcomes you to relax in a park-like setting with panoramic views. Offer three Deluxe rooms in total, each elevated for views toward the mountains and cypress trees of this region. 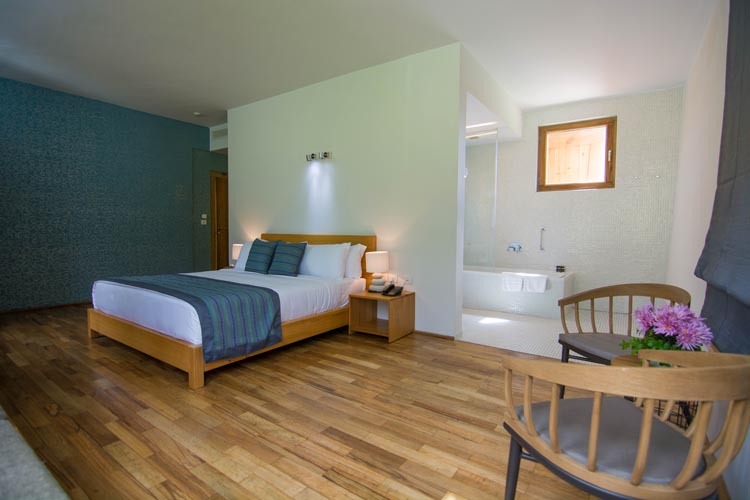 Ample in size, each has a separate bathroom ensuite and a generous-size desk space for your use. 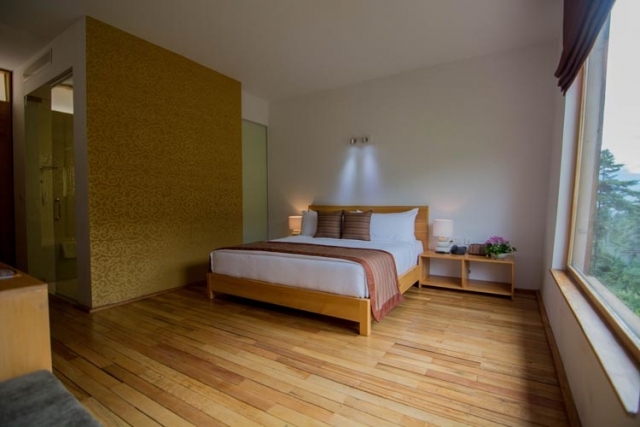 Our Premier rooms have a lofty atmosphere created by an open plan interior, large windows and subtle decoration. There are 17 rooms in total spread throughout the building, each with its own unique view – some of the hotel grounds, others of local temples and surrounding mountains. All linens and furniture have been chosen to encourage relaxation. Stretch out on the window seat, take an afternoon nap or run yourself a relaxing bath. Above all, enjoy. Take a break from buffet dining and enjoy a new table d’hôte menu each day presented to you on fine tableware. 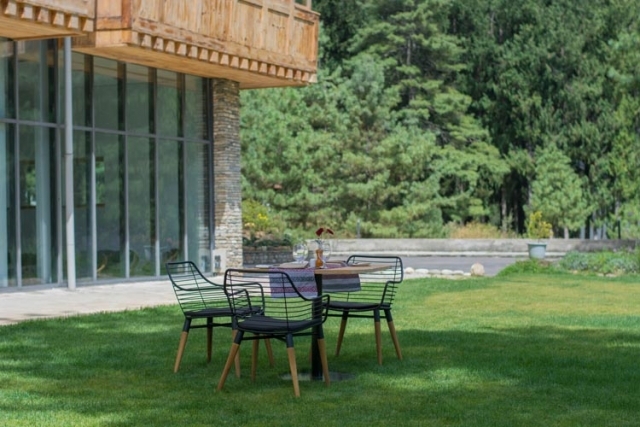 The restaurant offers you a vibrant dining experience in a contemporary setting with spectacular views of the valley and forest filled with scented cypress trees. Fresh, organic vegetables from the garden are used in abundance as well as high quality cuts of protein from around the world including beef and lamb rump from New Zealand and ocean trout from Australia. Wake to the aroma of fresh baked pastries made daily in our own kitchen by our pastry chef. Let us know if you suffer from a specific food allergy and we will adapt the menu to suit. The restaurant is surrounded by floor to ceiling glass windows. No matter what time of day or night you will feel intimately connected to the sky, mountains and the trees of this park-like setting. 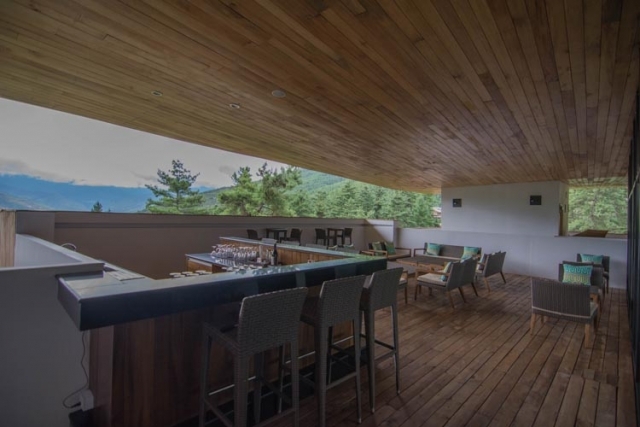 On clear evenings, relax with a cocktail in our open air attic area – an incredible space offering 360 degree views towards Thimphu valley and surrounding forested mountains. By day, the Rooftop Bar and Lounge is transformed into a yoga and relaxation space where a range of health drinks, including smoothies and juices, are served. Our Spa Therapy room lives adjacent to this space also making it an ideal spot to retreat to for a massage after a day out exploring. Yoga means ‘union’ in Sanskrit. When practised outdoors, the experience of yoga can feel like a union between nature and the universe. Here at Zhiwa Ling Ascent, we have a dedicated yoga area replete with mats, bolsters, straps and more in our open air attic space. The area has a dedicated juice and smoothie bar for extra nourishment and also features a Spa Therapy room if you wish to book a massage. Many experienced yoga teachers suggest that being outside can intensify the yoga experience in a number of ways. It can help you focus awareness, breathe more deeply and practise stillness. What better way to bring yoga back to its original link with nature than by taking it outdoors? Slip away from the chatter and relax into self-practise or ask one of the Zhiwa Ling Ascent staff to arrange a class or classes with a highly skilled, local yoga instructor.